Lauren Farms: Lauren Farms Freshwater Prawns in the News! Lauren Farms Freshwater Prawns in the News! My friend Regina Charboneau that owns the Twin Oaks in Natchez, Mississippi recently featured Lauren Farms Prawns in an article for The Atlantic. She is such a great chef, and an wonderful writer. We are thankful for her support! 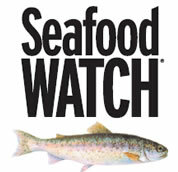 "Being an advocate of sustainable seafood, I am always looking out for people who are doing it correctly. In my constant search for sustainable ingredients I came across the most delectable farm-raised prawns from Lauren Farms in the Delta. To put it simply, taste is why they make the grade. But if taste is not enough, this is why I think we will all be hearing more about Lauren Farms: free range; all natural; low cholesterol; low in fat, iodine, calories and sodium; grown in fresh, pollutant and chemical-free water; fed wholesome grains; fresh from pond to table; environmentally friendly; sustainable aquaculture; and no by-catch. The other plus for me? I hate going to the grocery store... and they come UPS." In a mixing bowl, add flour, salt, cayenne and black peppers, and baking powder. Blend with a fork or whisk then add garlic and blend again. 16-21 count means there are approximately that many prawns to the pound. Peel and devein the uncooked prawns then cut into 1/4 inch pieces. Separate egg yolk and white. Whip egg white until stiff but still wet. Mix the egg yolk with the prawns, corn, green onions, and fresh basil. Do not over mix--this will bruise the corn kernels and make the batter too wet. Mix the flour mixture and the prawn mixture with a rubber spatula. Use two tablespoons as tools to form one-inch fritters, and drop in heated oil. Cook evenly--the fritters should cook in two to three minutes. You can test with a wooden skewer to make sure batter is cooked through. The fritters are good plain, or you can serve with a remoulade or jalapeno tartar sauce.